The study was conducted to evaluate the insecticidal action of two new chemical insecticides and three locally available botanicals. These materials were evaluated for their efficacy against cabbage aphids, Brevicoryne brassicae (L.), under laboratory and field conditions. The laboratory result revealed that Lambda Cyhalothrin (Triger 5 E.CTM) and Emamectin benzoate (Cutter 112 E.CTM) were non-significant difference from the standard check within 1 day after application. The field results showed between the new insecticides, Triger 5 E.CTM and Cutter 112 E.CTM were non-significant difference from that of the standard check (Diazinon 60% E.CTM) at both locations (Guder and Mutulu) within three days after application. Extracts of neem (Azadirachta indica) seed, Hop bush (Dodonae angustifolia) fresh leaf and Lemon grass (Cymbopogon citrates) gave positive performance under laboratory while the efficacy percent were decline at both field locations on field. Azadirachta indica seed, Dodonae angustifolia and Cymbopogon citrates were given 59.48, 57.16 and 52.50 at Mutulu and 53.92, 37.26 and 62.72 at Guder location mortality percent, respectively, after 3rd day observation in first spray. The obtained results revealed that all tested materials were exhibited mortality rate action against cabbage aphids. 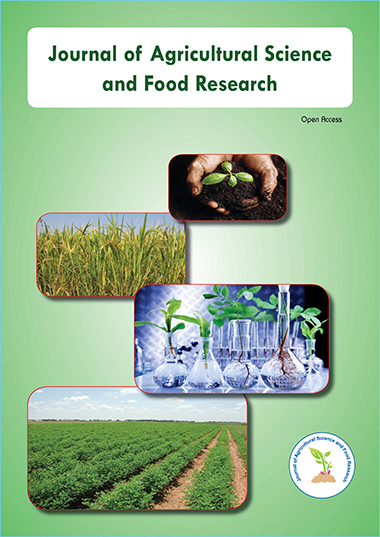 Powdered neem seed, Dodonae angustifolia fresh leaf and leaves of Cymbopogon citrates caused moderately mortality percent against cabbage aphid within 3 days after applications. Higher damage and low yield were observed in control and botanicals application. This study indicated that the two insecticides Cutter 112 E.CTM and Triger 5 E.CTM and botanicals could be recommended as an alternative management option of Brevicoryne brassicae (L.) in Ethiopia.